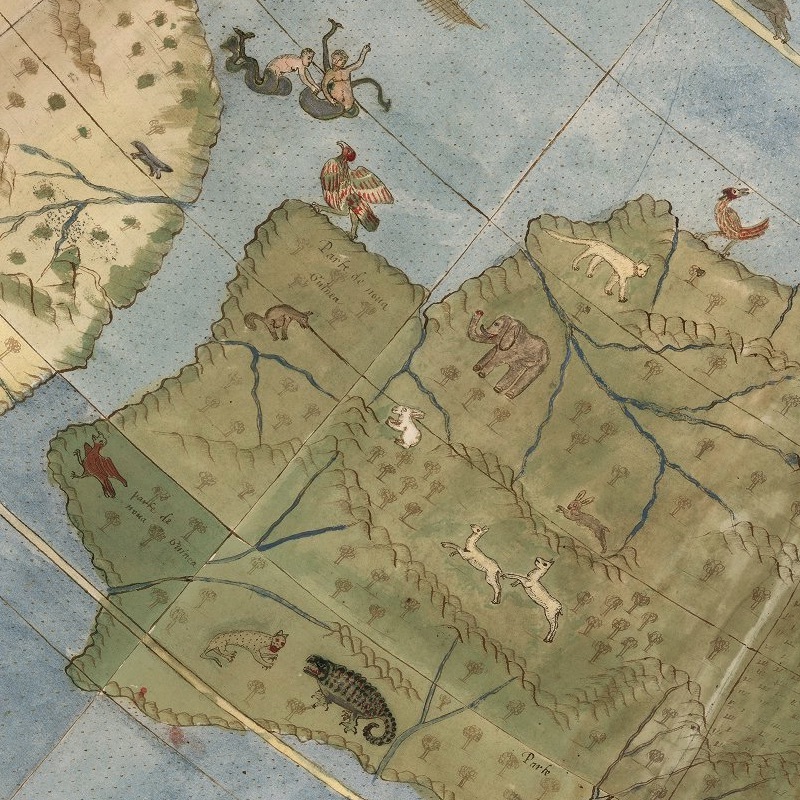 Once assembled, the map shows a lush, highly personalized take on the world, with a surprisingly large collection of real and fantasy beasts carousing and cavorting on land and sea. 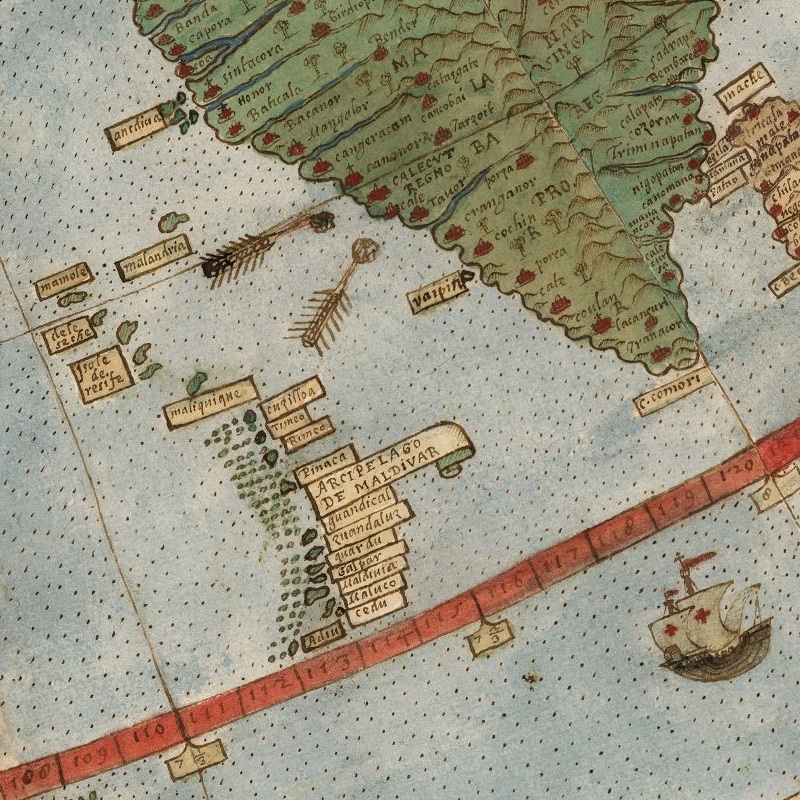 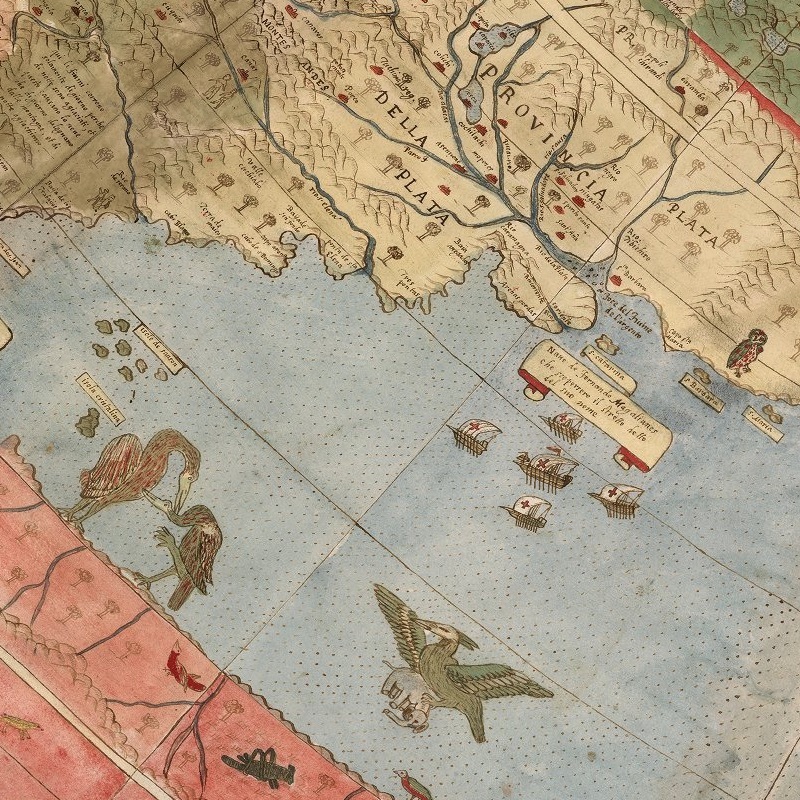 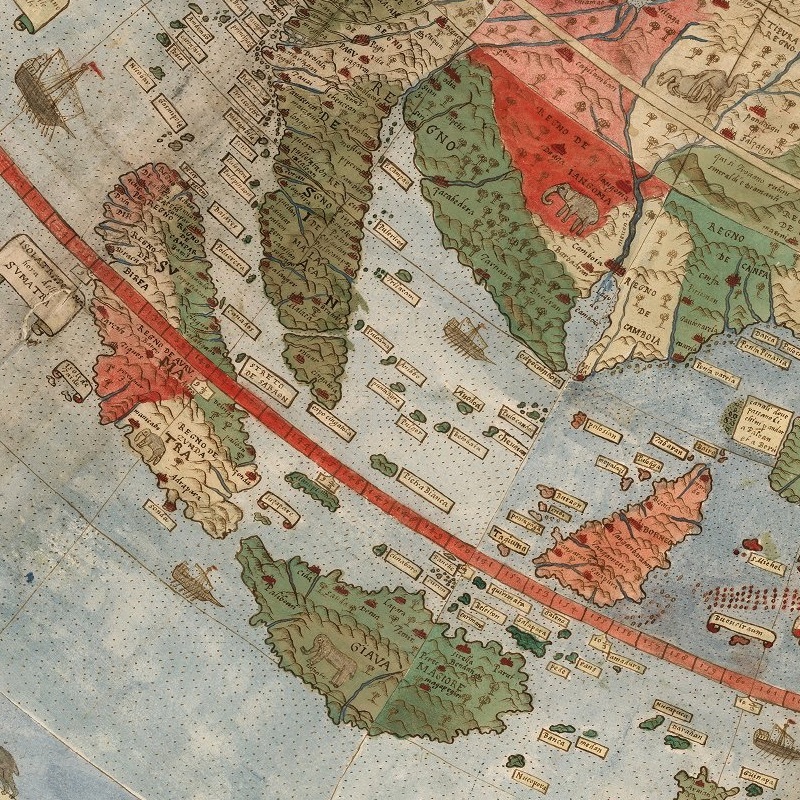 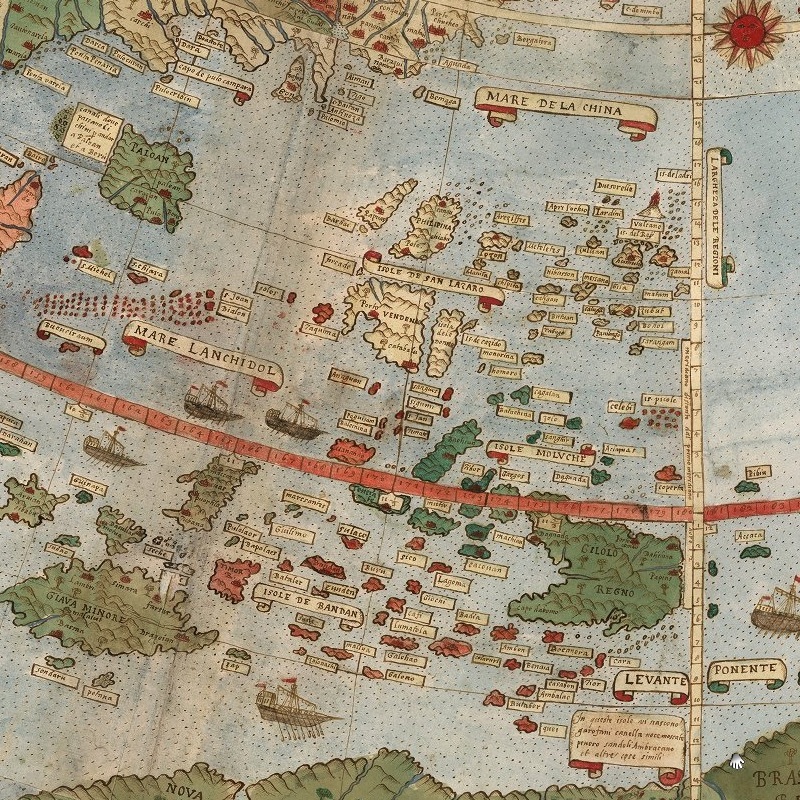 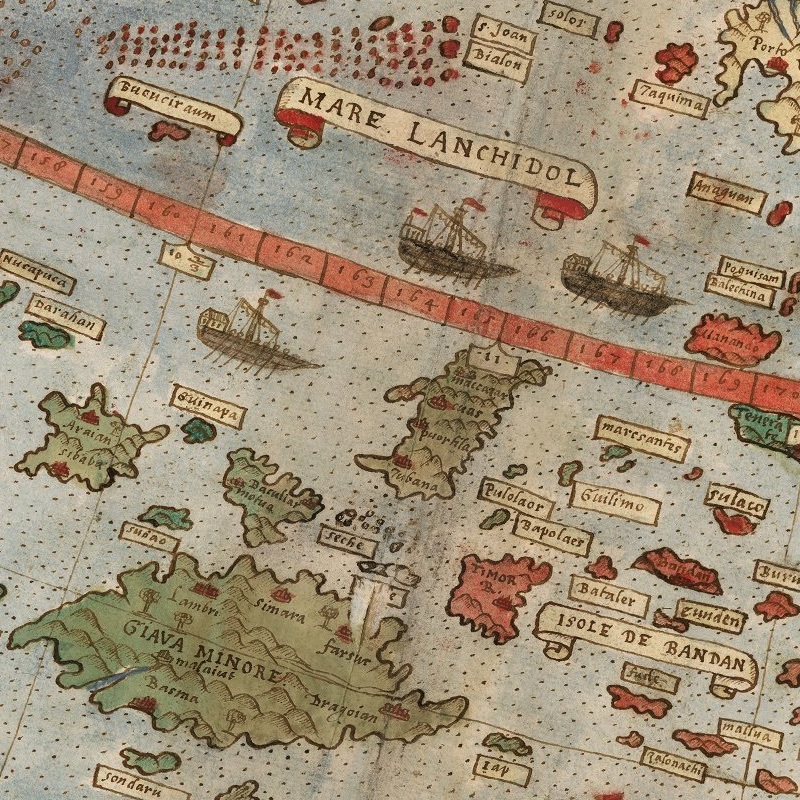 Rumsey’s scan and digital assembly of the cartographic puzzle represents the first time that Monte’s work has been seen in its full glory: It is the single largest world map of the 16th century, and one largely forgotten or overlooked by cartographers and scholars. 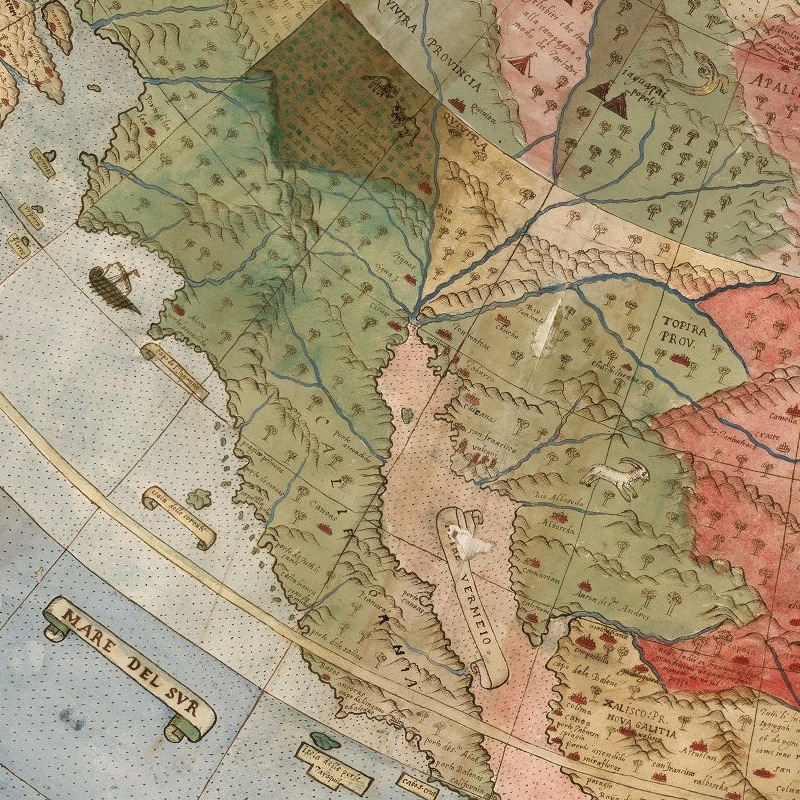 Monte did not come by his geographical knowledge by traveling the world. 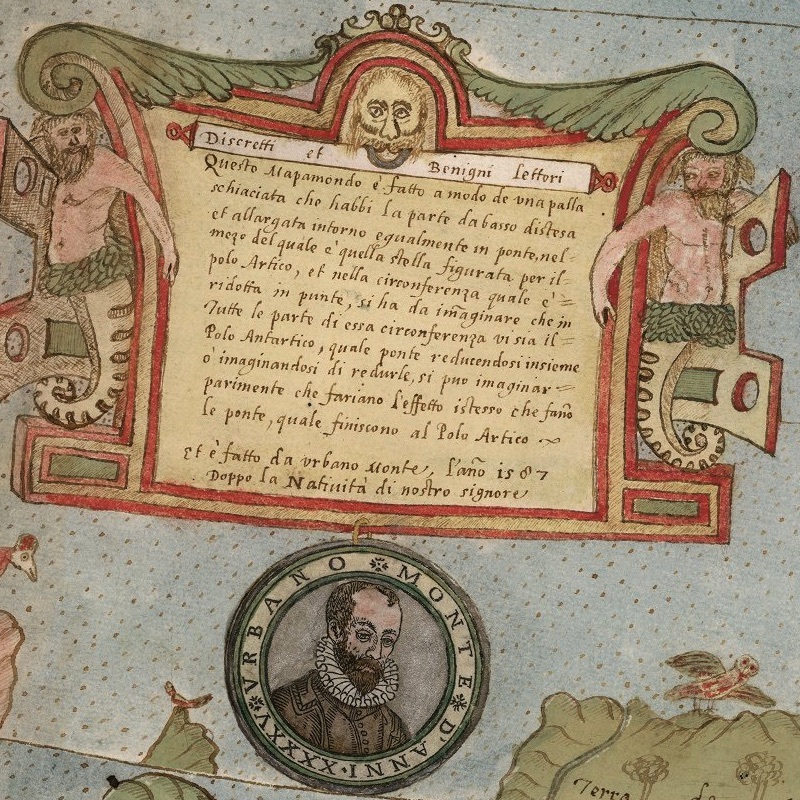 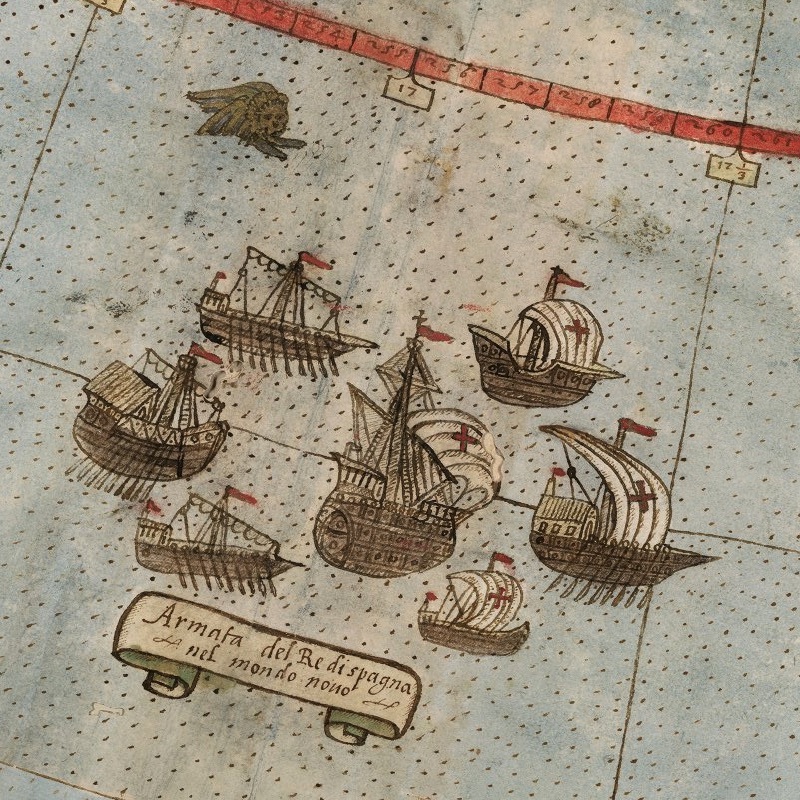 Rather, most of the map is sourced from others already floating around, and long texts describing the journeys of early voyagers, so it pulls in their various misconceptions about far-flung places, particularly around South America. 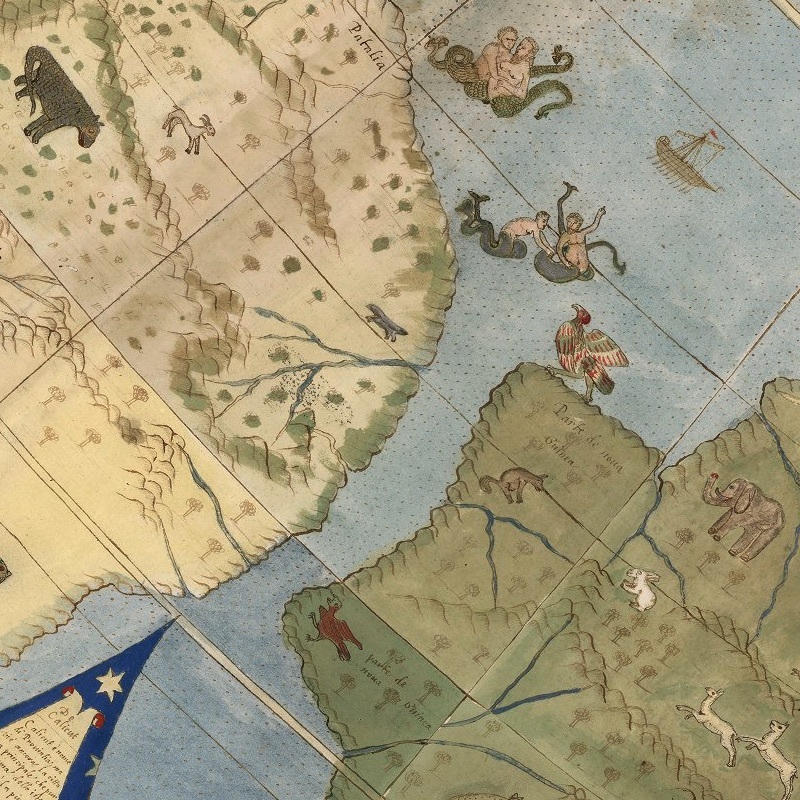 Throughout the world, Monte took time to sketch exotic fauna—crocodiles, camels, lions, and more. 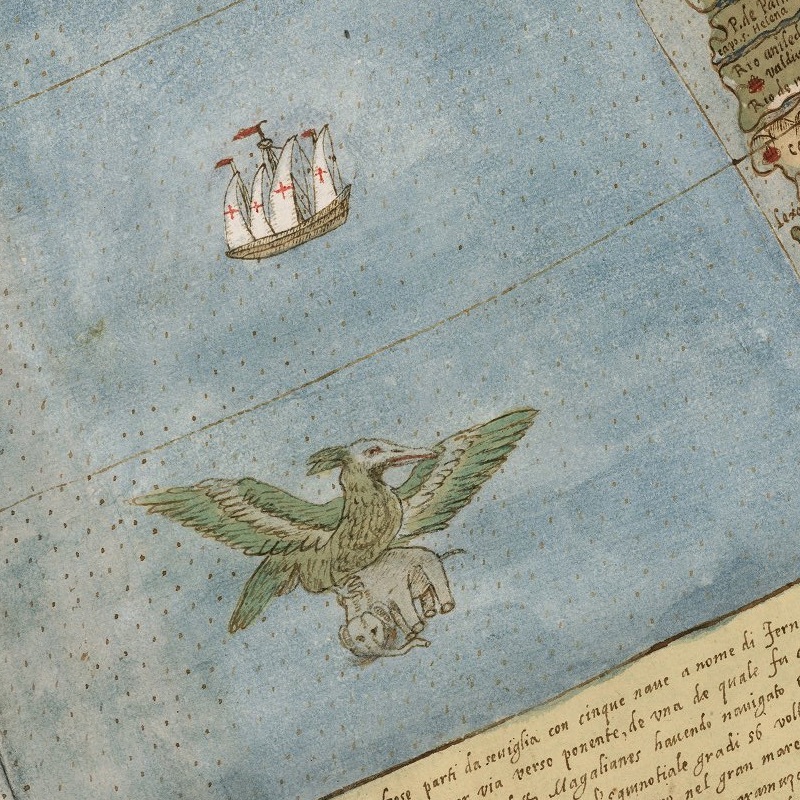 The seas feature many-tailed mermen and fleets of well-armed ships. 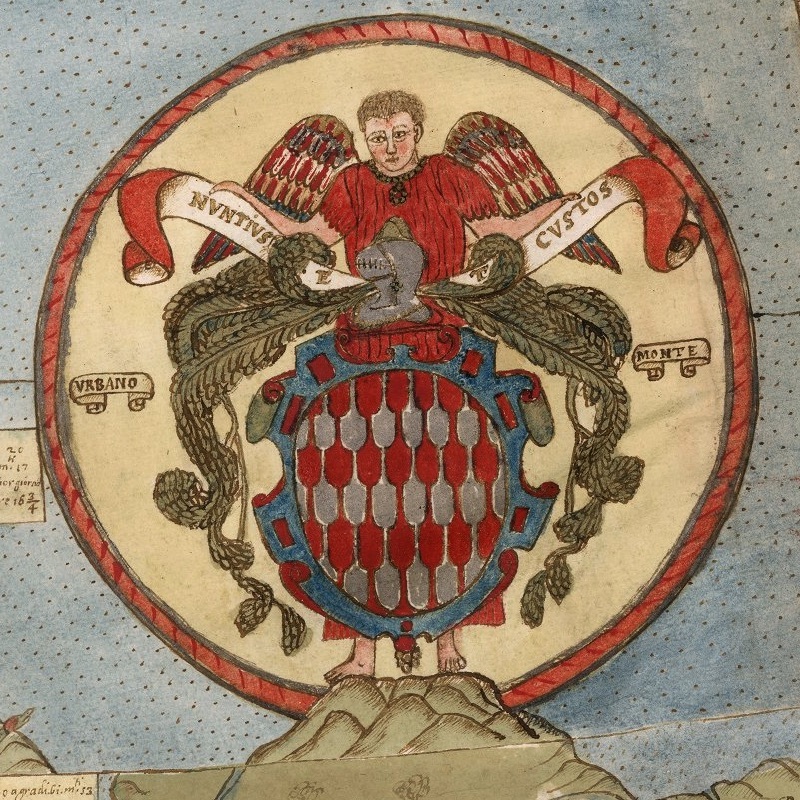 Political leaders, including Philip II of Spain, also make an appearance, as do several portraits of Monte himself. 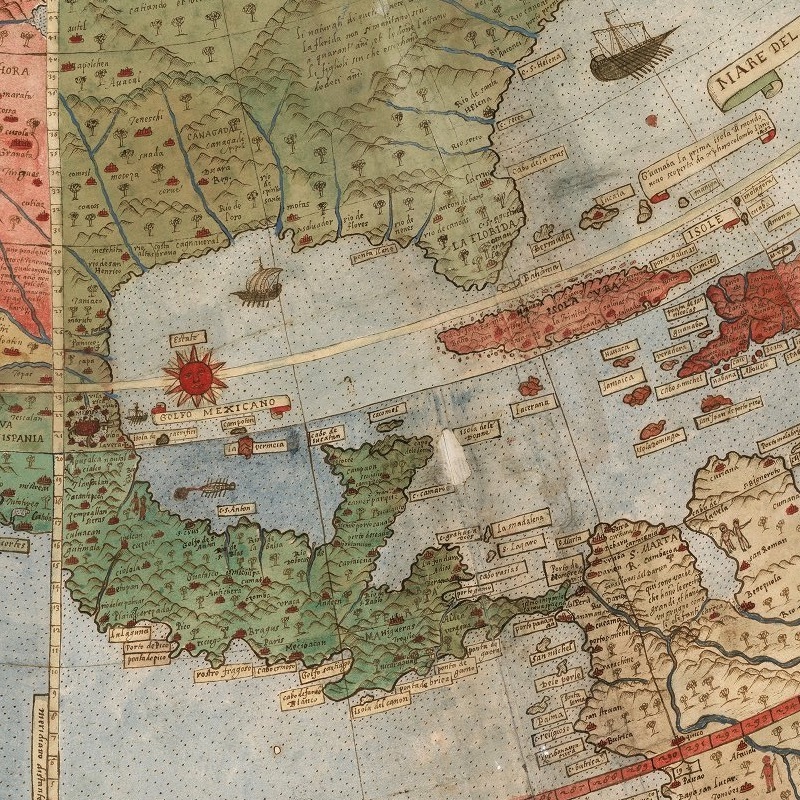 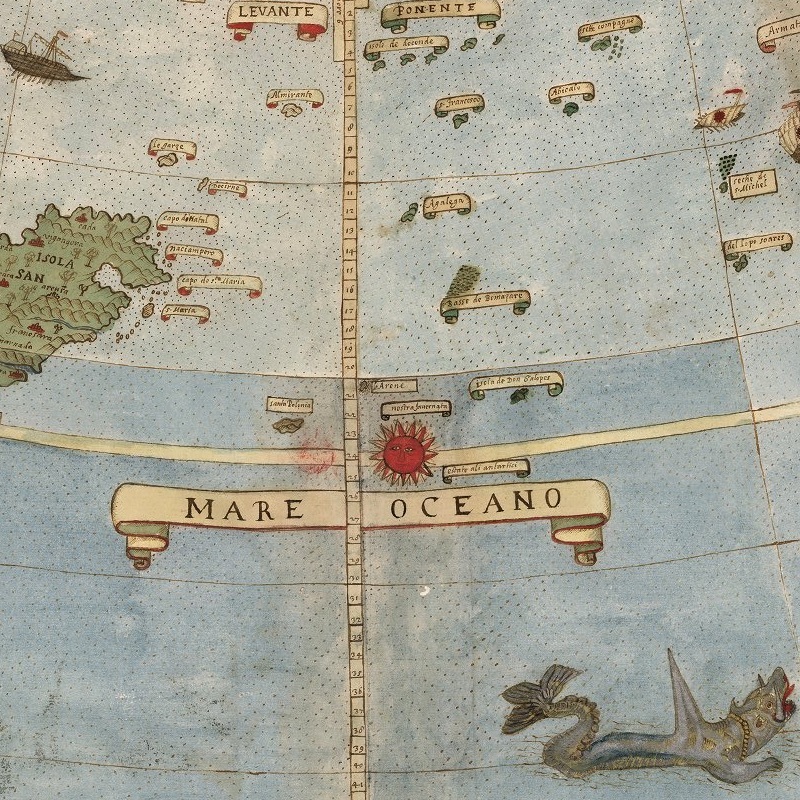 Mapmakers of the time didn’t like empty spaces. 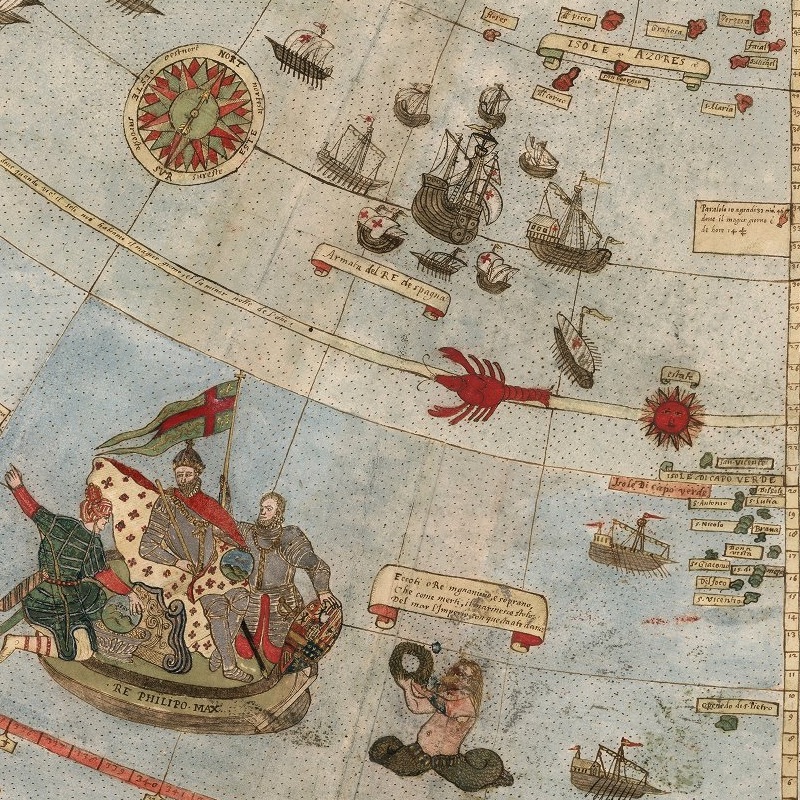 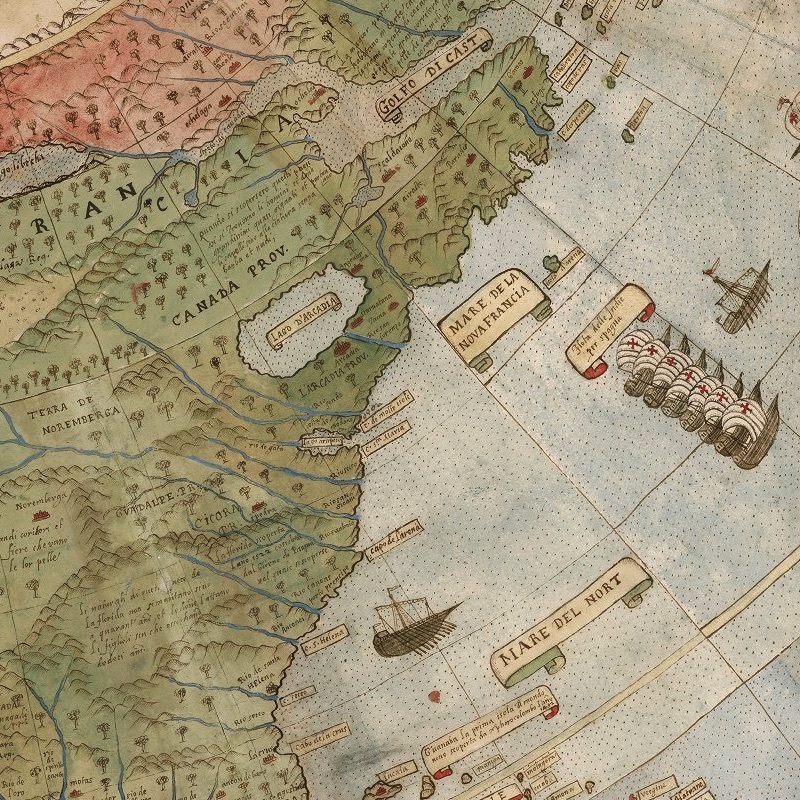 Explore the map at the David Rumsey Historical Map Collection — An important and extraordinary manuscript world map drawn up on a north polar projection to form the largest manuscript map of the world at 9 by 9 feet. 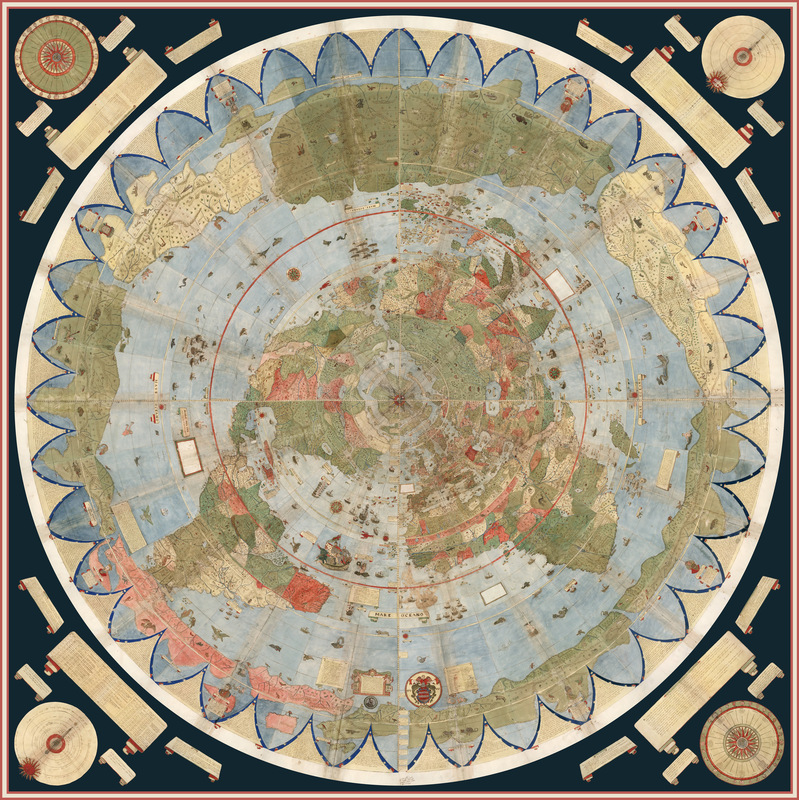 Of great interest is the attempt Monte makes to make his map not just a geographical tool but to show climate, customs, length of day, distances within regions— in other words, to create a universal scientific planisphere. 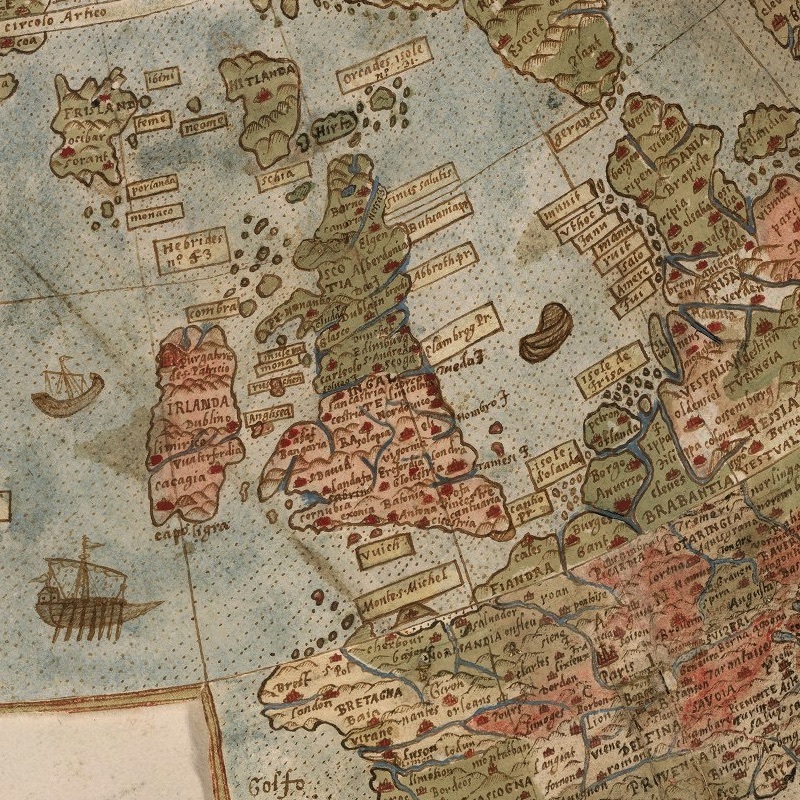 Anglo Saxon London, mapped — a map showing the London area in roughly 500－1066AD, pieced together from many resources, showing the roads, rivers, forests and marshland that characterised the region. 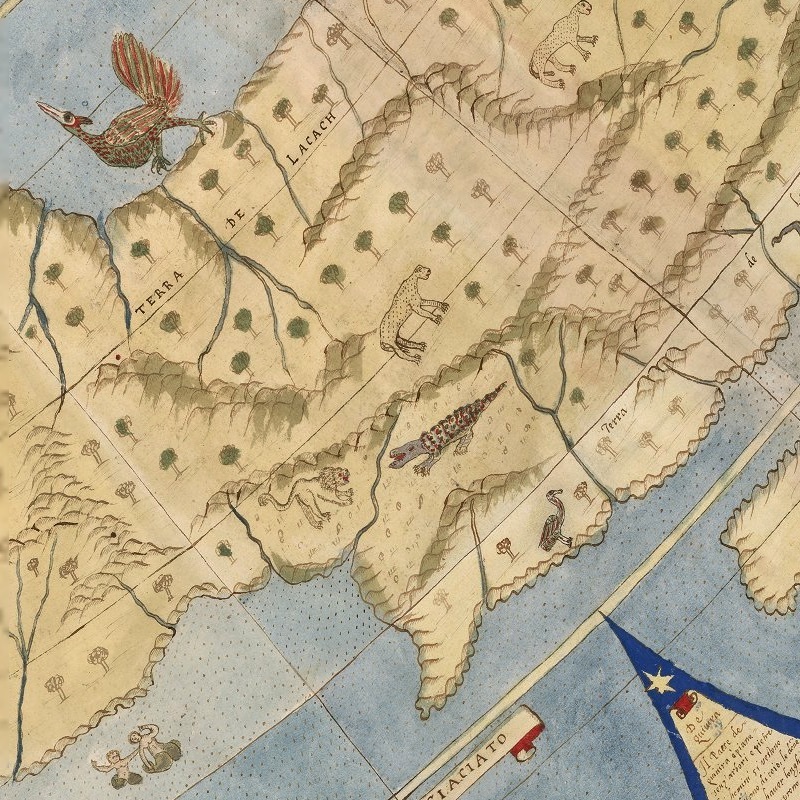 Seminal William ‘Strata’ Smith geology map rediscovered — This map, produced by William Smith, is acknowledged as the first geological map of a country ever produced. 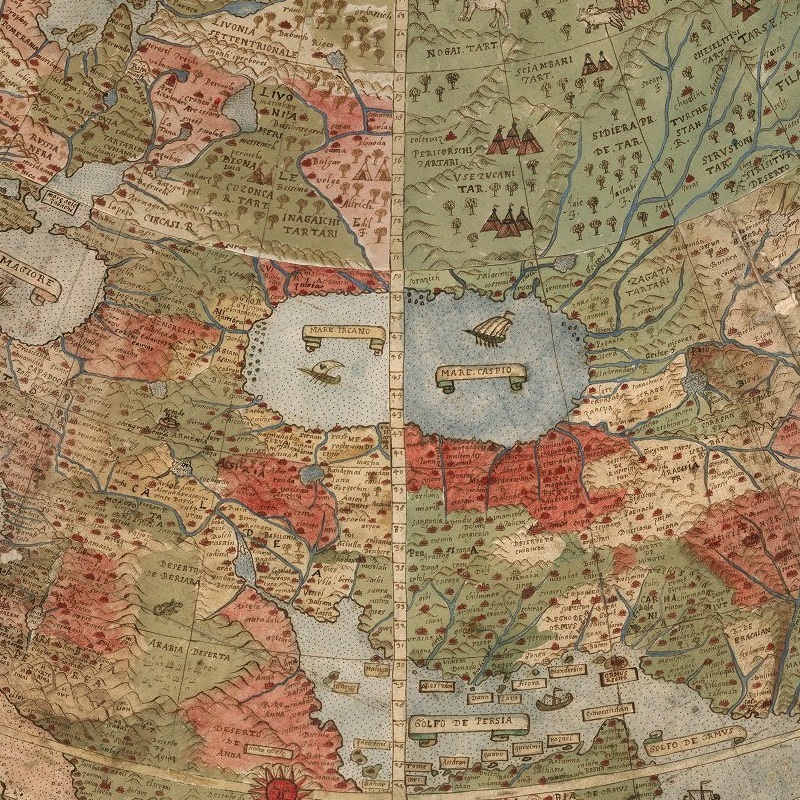 The first relief map — In 1668, Hans Conrad Gyger submitted an outstanding cartographic masterpiece to the government of Zurich. 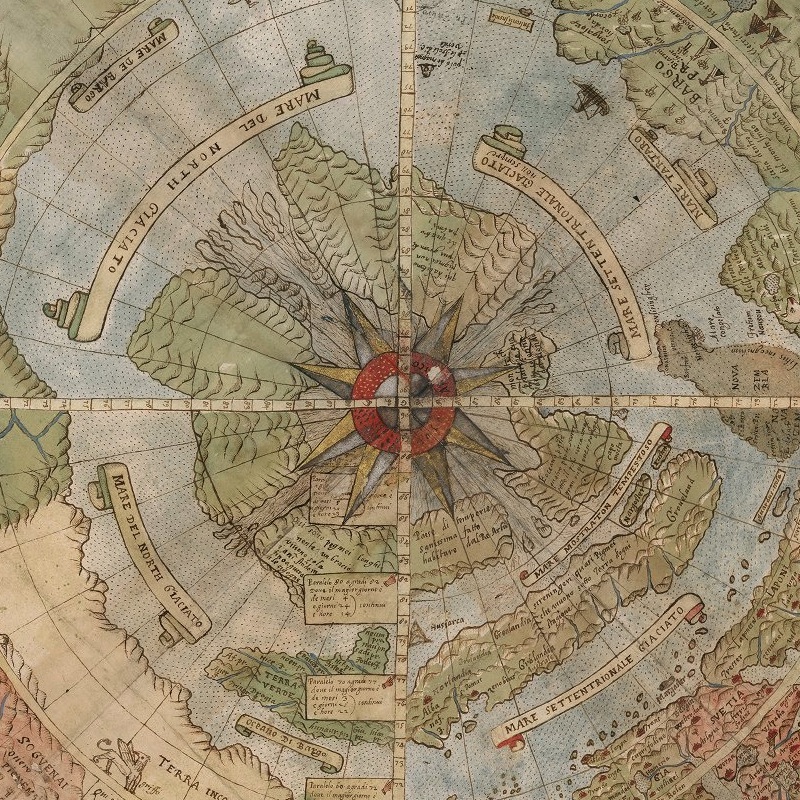 An important and extraordinary manuscript world map drawn up on a north polar projection to form the largest manuscript map of the world at 9 by 9 feet. 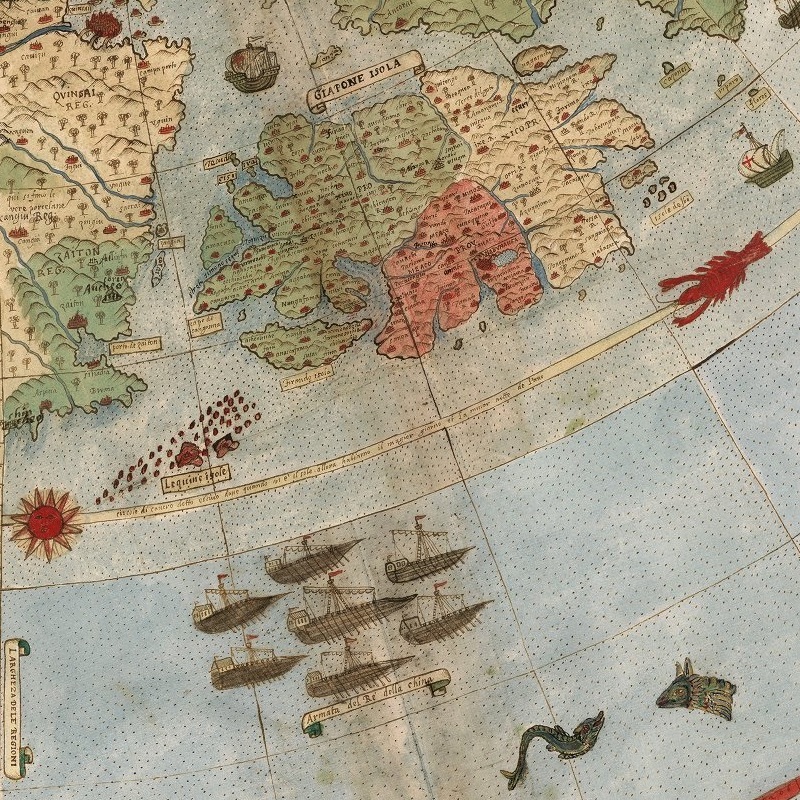 […] This printed version was published in 1604 on 64 plates, and is the only printed copy known.